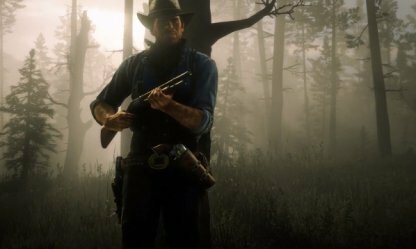 Check out the top 5 best weapons in Red Dead Redemption 2 (RDR2) featured in this guide! 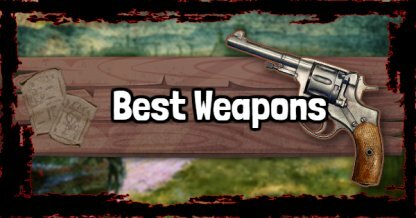 Learn about the best guns to use in different situations and get an advantage over your enemies. 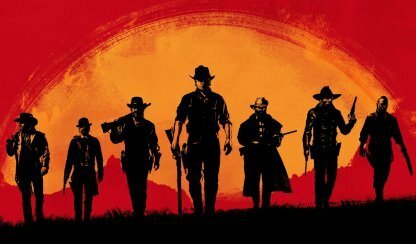 The Repeaters are one of the most versatile weapon you have access to in RDR2. With a good balance of damage output, accuracy, and fire rate, this weapon will be more than capable of handling most combat regardless of its distance. Thanks to its design, the Repeater can hold good amount of ammo in their chamber, and can be used to take down multiple targets with relative ease. Versatile weapon with good balance of accuracy and reload speed. Perfect for mid-range combat. No other weapon comes close second in terms of effectiveness in close quarter combat. Shotguns are devastating when used indoors or in confined areas such as woods. Due to the nature of this weapon, Shotguns are great for hitting fast moving enemies or small openings. Rapid firing shotgun, capable of clearing a room of enemies. Also great for hunting enemies in woods or other confined area. 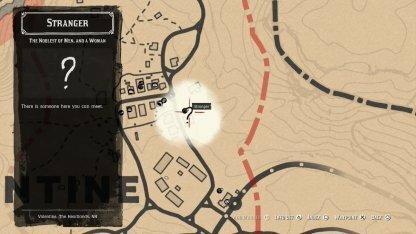 Rifles are amongst the hardest kicking weapons in this game. A single shot or two is more than enough to take down an enemy from afar. Rifles can be equipped with a Scope attachment, making it even more powerful in long range combat. However, having a scope might restrict your field of view when trying to use them in closer range. Powerful rifle with emphasis on accuracy and raw damage. Especially deadly in range when equipped with long range scopes. 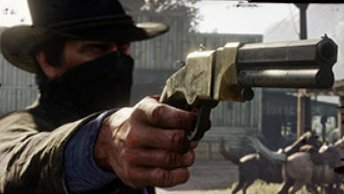 As an iconic Wild West firearm, Revolvers are a great sidearm to have in close to mid range battles due to their high hip fire rate, decent damage, and ammo economy. 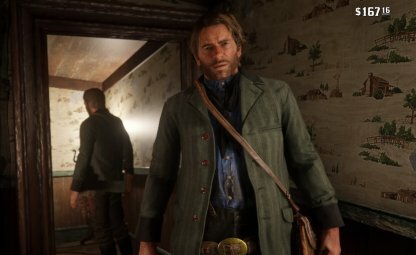 Two sidearms like Revolvers can be wielded simultaneously upon unlocking a second holster for your gun. You can mix and match two guns for even wider variety of combat. 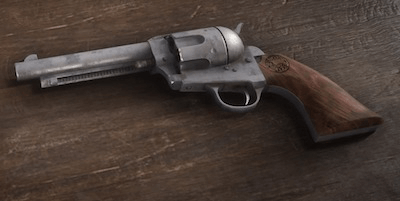 Outlaw's first Revolver, excelling in high fire rate and reload speed. Lack of firepower can be compensated by dual wielding. 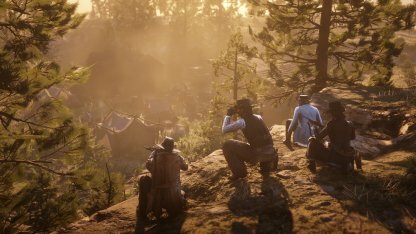 Pistols available in this game are one of the most advanced firearms available at this time. Each shot packs a mean punch and also can be fired rapidly, making it an ideal weapon for horseback combats. 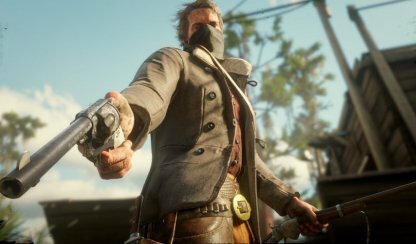 Pistols can also be dual wielded like Revolver counterparts for maximum firepower. 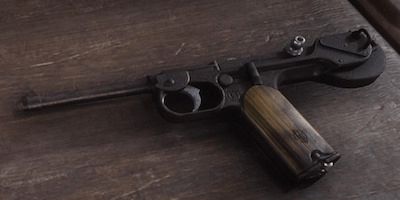 However, Pistol ammos are rarer and more expensive and should be used sparingly. A great weapon must be able to perform effectively, at a number of different ranges. 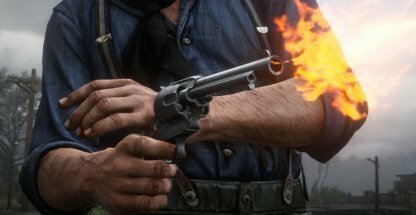 This allows for it to be used in different situations in Red Dead Redemption 2. The more versatile a weapon is, the better! A great weapon must also be able to pack a punch when used in its most effective range. It must be able to deal high amounts of damage to take down the target as fast as possible. Great weapons should be able to handle very well in combat. Meaning that it has a decent rate of fire and reload time to cover you during heated shootouts!